Amityville is a village located in Suffolk County on the South Shore of Long Island New York. As of 2010 census, there were 9,523 people, 3,107 households, and 1,982 families residing in the area. The median income for a household in the village is $74,366 and the median income for a family is $99,623. Males have a median income of $54,917 and only $46,553 for females. The latitude of Amityville is 40.678N. The longitude is -73.417W. It is in the Eastern Standard time zone. Elevation is 20 feet. 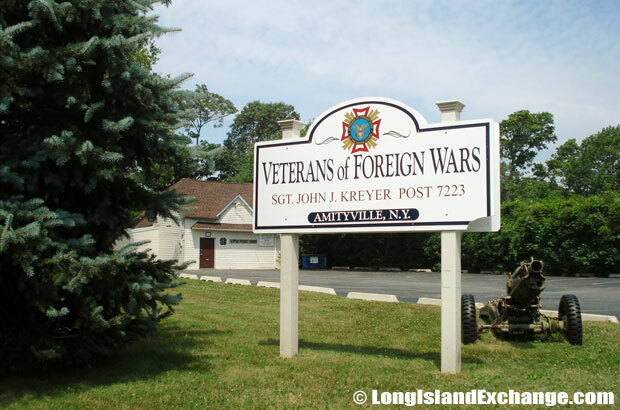 A sign along beautiful landscape welcomes visitors to the village of Amityville, first settled in 1653. 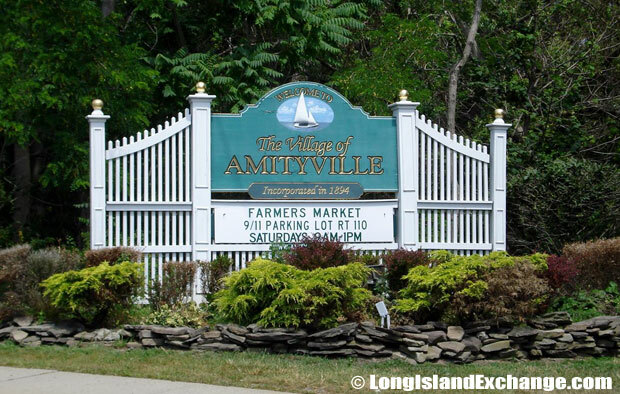 On March 3, 1894, the village of Amityville formally became incorporated and several business establishments were constructed during that time. In 1653, the village was first settled by Huntington which traveled to the south shore for salt hay. The former names were Huntington West Neck South and Sweet Hollow. One tradition says the village name was changed in 1846 when residents met to find a better name for its new post office. Another says it was named by mill owner Samuel Ireland to name the town for his boat the ‘Amity’. On March 3, 1894, the village formally became incorporated and several business establishments were constructed during that time. Milling and baking units accompanied shops and a post office as well from the earliest days of the town’s establishment. People of substance began to acquire estates and settle in the village and one of their most distinguished guests was a person no less than George Washington. 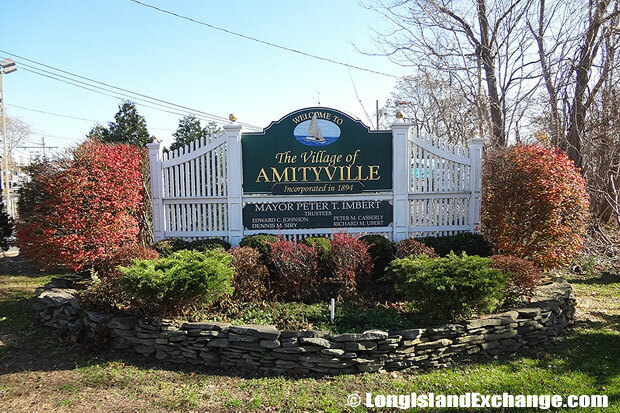 Real estate in Amityville continues to be prized in Amityville’s exclusive surroundings. Based on sales in the last quarter of 2012, the median price for homes in Amityville is $389,000. 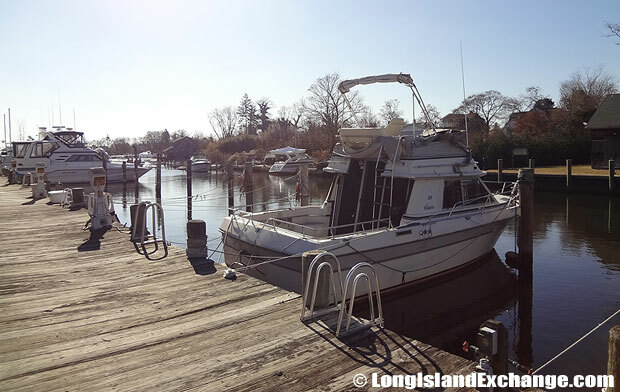 There is also a southern portion of the Amityville area called “Amity Harbor“, which is home to canals, a small boating community and higher home prices; actually located in the hamlet of Copiague. 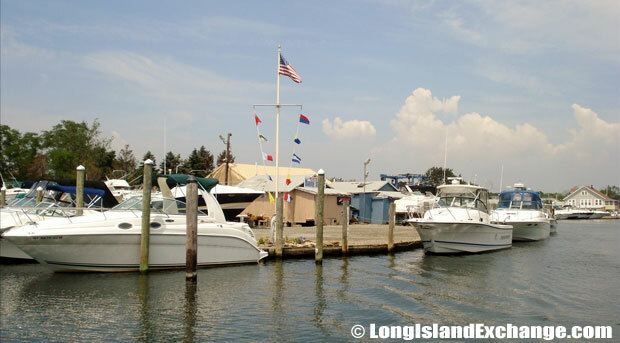 There is a southern portion of the Amityville area called “Amity Harbor”, which is home to canals, a small boating community and higher home prices; actually located in the hamlet of Copiague. Looking out from Amity Harbor, a small boating community with higher home prices. 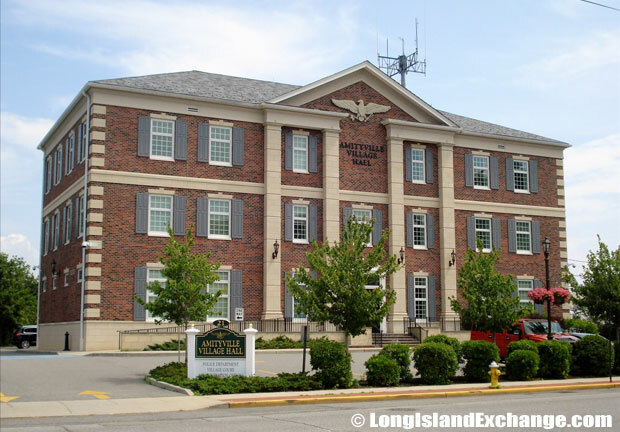 Amityville Village Hall, where village administrators handle all matters of Village administration, including parking permits, business licenses, complaints, resident questions, etc.. The story of a real life murder case makes Amityville intriguing and interesting to those planning to stay in the area. It is said that a house become haunted and was featured in a novel with still many versions and opinions on the actual events. The house has been renovated and the address changed in order to discourage tourists from visiting. The Amityville Horror story, a best-selling book, was the story based on the DeFeo murders. The home at 108 Ocean Ave. in Amityville, better known as the Amityville Horror house, circa 1980. 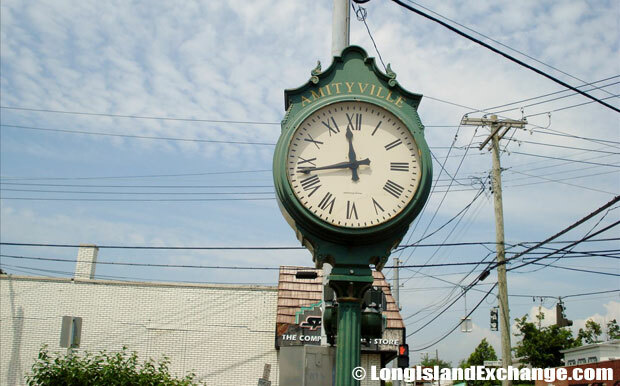 Today, Amityville is a safe place to live with the area having a low crime rate according to FBI records. The village has notable residents such as Aleck Baldwin (Hollywood actor), Mike James (NBA player), John Niland (Football player), and Kevin Gregel (Astronaut). Local festivals include Apple Festival, an event which is held every first or second week of October that everyone celebrating beautiful crafts, great music, and wonderful food. 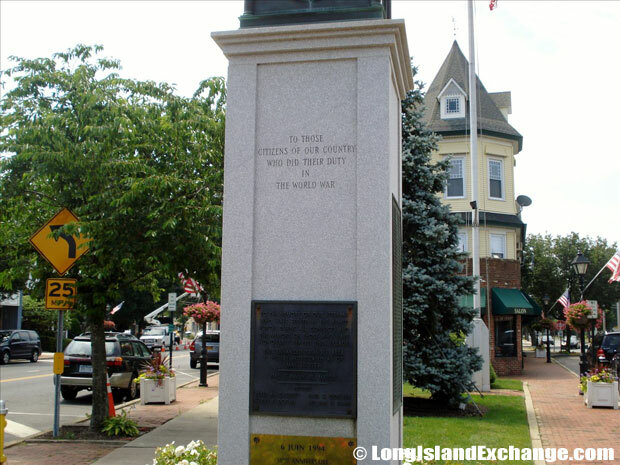 Amityville Military Memorial: To the citizens of our country who did their duty in world war. 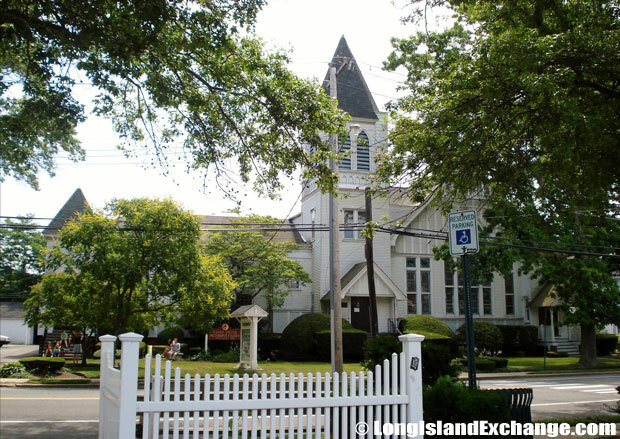 Serving Amityville New York, the First Methodist Church provides handbell, youth and adult choirs, Sunday school, children-friendly, easily accessible worship. 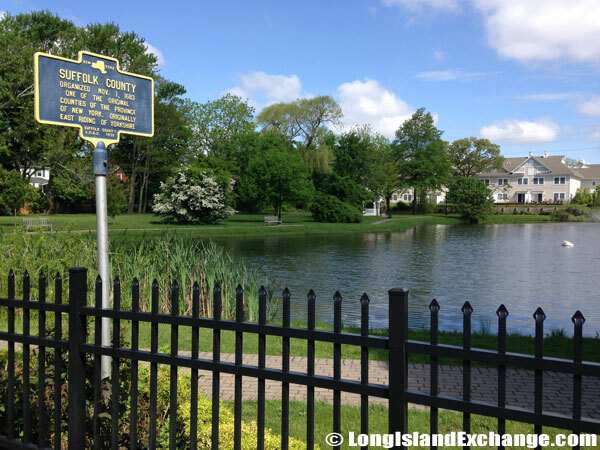 A sign on Oak Street at Peterkin Park highlights Amityville’s place in Suffolk County history. The Triangle is the areas center which is officially designated “Memorial Triangle” in memory of all who have served the village. 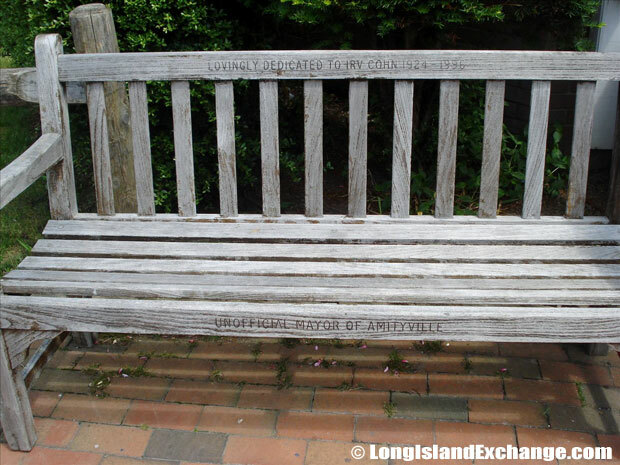 The Amityville Historical Society/Lauder Museum is located at the corner of Broadway and Ireland Place, just south of The Triangle that has all historical facts and knowledge about the activities, sites, memorabilia, materials of the South Shore of Long Island in and around Amityville and the surrounding and adjacent communities. Aside from it, the waterfront village is also popular for its beach, parks, fishing areas, and nature trail.